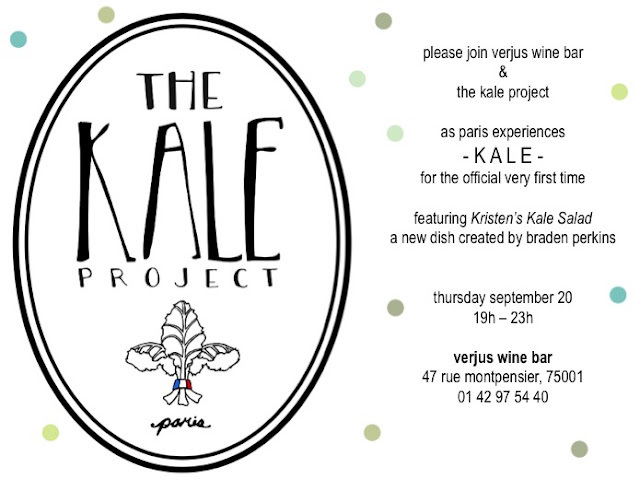 Save the date- this Thursday Parisians will have the opportunity to meet the newest veggie on the block. Adored by anglophones and peaking interest amongst natives, kale will make its official début appearance on the Paris dining scene, starring in a dish specially crafted for the occasion by chef Braden Perkins. 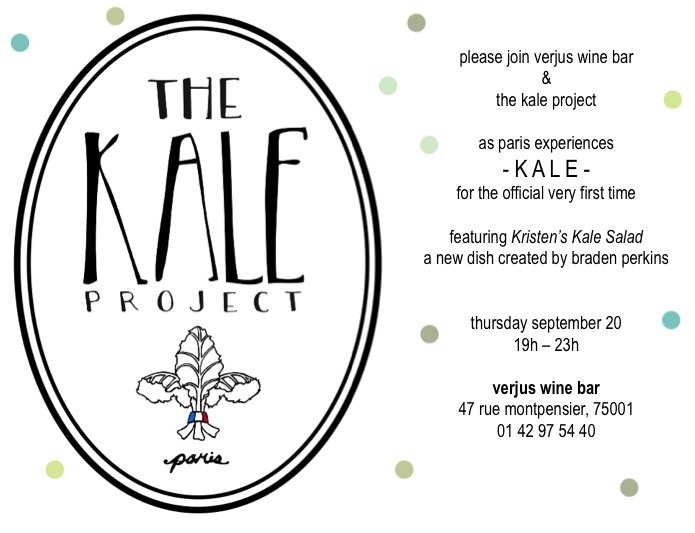 Perkin's and Laura Adrian's restaurant and wine bar, Verjus , will play host to the great kale unveil which was inspired by, and organized with, Kristen of The Kale Project. Lovers of kale, and the kale-curious, are welcome to join for a taste of this lovely leafy green accompanied with a glass of wine and good company! Hope to see you there! Vegan Folie's: Organic! Vegan! Local! Cupcakes!